If you are in need of complete packaging and ingredients of our snacks, please ask a staff member- they're readily available! We cater to restricted diets and most allergies. 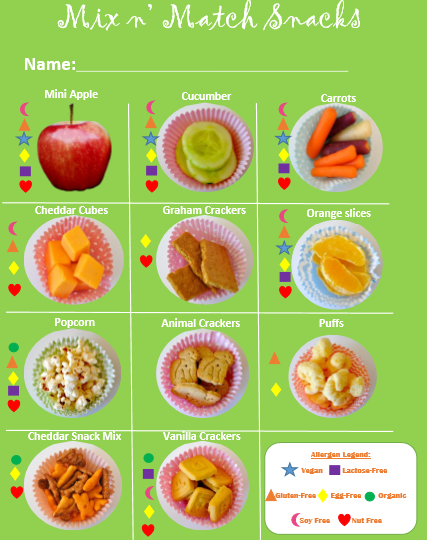 Please see our allergy-friendly snack menu! Not sure if we can accommodate you or your child's needs? Call or e-mail at least 24 hours before your visit and we'll do our best to make it happen! Please note that we are a nut-free facility. Check out our mix n' match snack menu, which is in addition to our fresh grab n' go options That change daily! Stop in to see what's fresh and ready today.